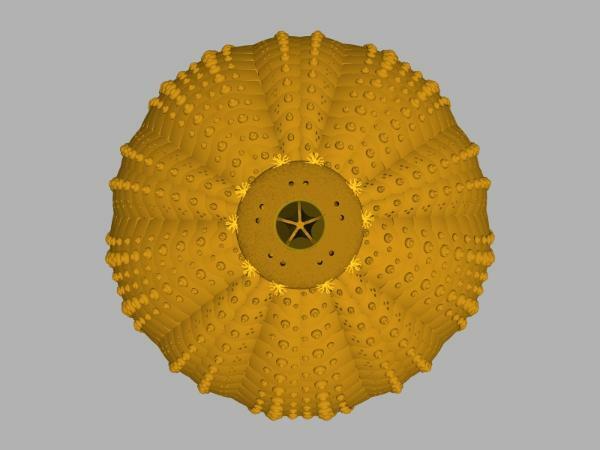 There are about 750 species of extant echinoid. 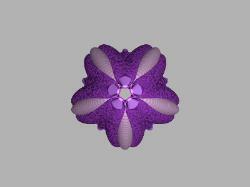 Regular urchins are a regular shape: globose, sometimes flattened at poles, some are ovoid. aboral surface is arched. The test may be up to 15 cm in diameter (excluding the spines). Some deep-sea forms are as much as 32 cm across (exc. Spines). 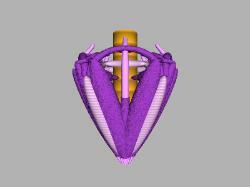 than the equatorial / lateral spines. Often small and large spines are intermingled. peristome contains embedded plates and it may have small spines and may have pedicellariae. bushy gills, which may sit in gill slits (gill cuts) and are presumably respiratory. centric membrane – the periproct. This may also have small spines and may have pedicellariae. horizontally. The plates of each double row alternate, forming a zigzag line where they meet. plates is enlarged into a multiporous madreporite. auricles may meet, forming an arch over each ambulacrum. plates and is flexible. It is moved by a special set of body-wall muscles. There are several different arrangements of the ambulacral plates, depending on species. forms each ambulacrum, as in Arbacia. demiplate between their outer ends, as in Echinus. Insertion of more demiplates into these three types gives several polyporous types. and may be arched aborally or flattened, as in sand dollars. AB or V. The mouth and peristome may be displaced anteriorly. podia. The ambulacra continue over the ambitus to the peristome. Irregular urchins lack gills. clypeastroids or sand dollars, cake urchins and sea biscuits. around the peristome. 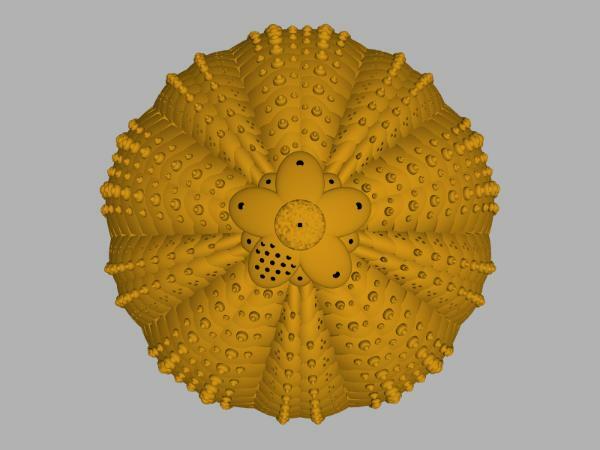 The phyllode podia are modified. labrum in front to the periproct behind. subanal and peripetalous fascioles being the most common. subanal fasciole is present. They inhabit deep waters and have fragile, transparent tests. circular ambitus and are greatly flattened orally-aborally, though some are arched dorsally. They are covered in a fur of short spines. 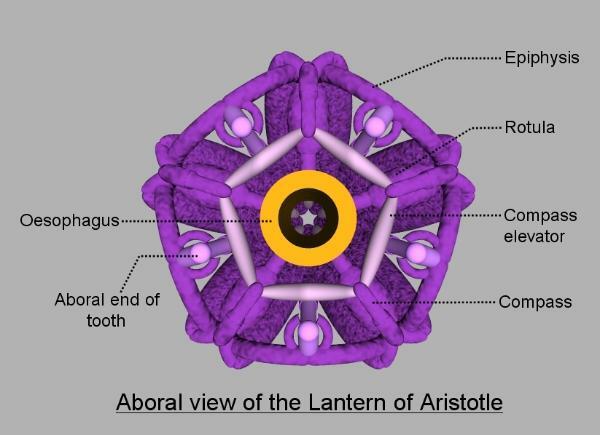 The central aboral apex is surrounded by 5 petaloids. 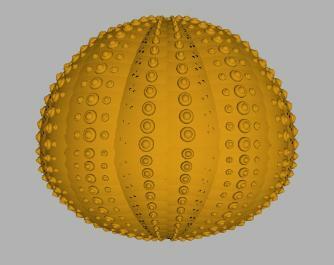 lunules, for example the keyhole urchins. figure called a floscelle. The test of spatangoids is often thin. podia emerge through single pores, on both ambulacra and interambulacra of both surfaces. Primary plates and demiplates alternate in the petaloid ambulacra. opens into the gut at the oesophagus / intestine junction. ingest bottom ooze. Shells are also chewed-up and ingested. Irregular urchins live in sandy bottoms in burrows lined by mucus secreted by the spines. diatoms, foraminifera and tissue fragments. evagination from the pharyngeal cavity) from which the teeth grow continuously. 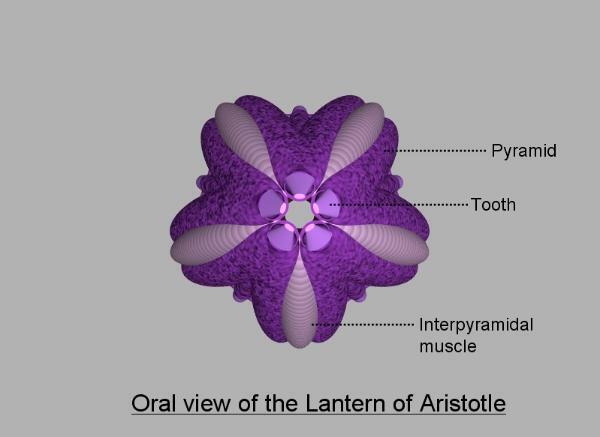 originate on the auricles of the ambulacra and insert on the lower ends of the pyramids. muscles are part of the respiratory apparatus. originate on the perignathic girdle of the interambulacra. embedded ossicles or skeletal plates. This is underlain by a flagellated coelomic lining. interlocks, holding the grip when the jaws are closed. terminal discs and poison glands. Cidaroids lack triphyllous and ophiocephalous pedicellariae and so have two types only. Globiferous pedicellariae act in defence, and release toxin in response to a chemical stimulus. pedicellariae are less toxic. The body fluids and axial glands of echinoids may also be toxic. thought to be organs of equilibrium. All regular urchins except the cidaroids possess gills. Gills are absent in irregular echinoids. locomotory, each with a terminal sucker supported by a ring of internal calcareous pieces. Calcareous spicules support the stalk. also due to the spines. ambulacrum are tapering or topped with a scalloped or stellate disc. end covered with erect club-shaped projections, each supported by an internal skeletal rod. They are chemoreceptive and assist in food capture. subanal fasciole. These resemble penicillate podia or frontal podia. Spines, podia and spines are all sensory. There are also dispersed epidermal sensory cells. eyes. In Astropyga radiata stalked oral blue spots are thought to be photoreceptors. changes, lightening in the dark. which may function as expansion chambers. amoebocytes contain red echinochrome pigment. emerges from the lantern) gives rise to a stone canal, which ascends to the madreporic plate. ampullae. Each radial canal ends in a terminal tentacle. haemal and water-vascular systems. 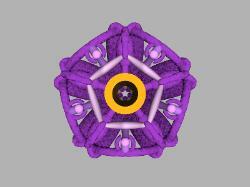 It consists of a meshwork containing coelomocytes. via the stone canal and madreporite. urchins only move with their anterior end forward. but the inverted position is unstable and easily righted by wave action. 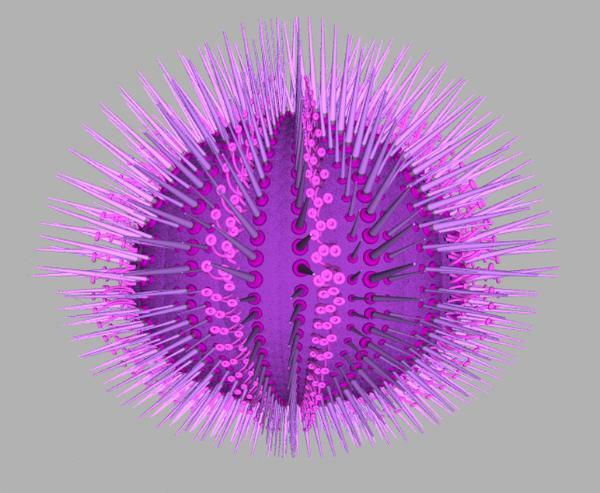 Irregular urchins live in mucus-lined burrows. The curved lateral spines are used for burrowing. Spines secrete the mucus, while plastron spines ventilate the burrow. missing) and others have 2 (CD, AB, DE missing). spatangoid species the female has deeper petaloids than the male. Fertilisation is external. 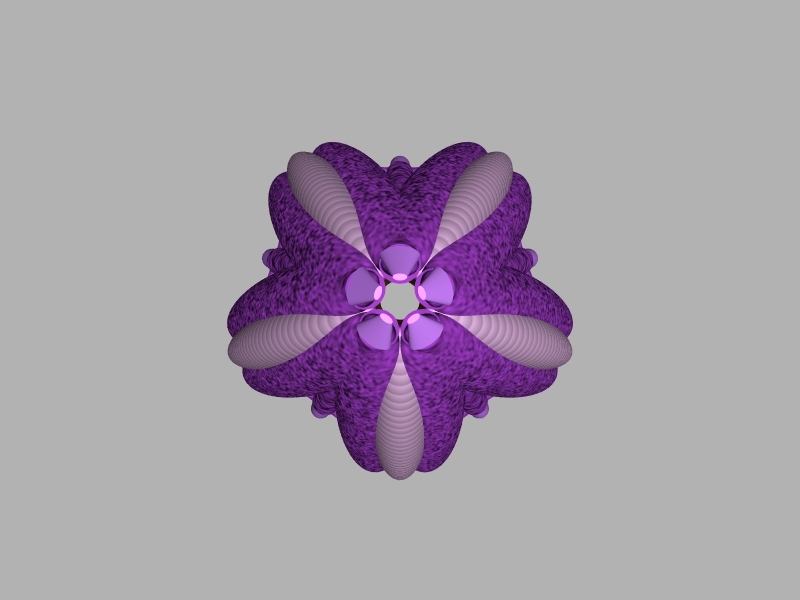 Echinoids may aggregate to spawn, which may take place at full moon. form a brooding chamber roofed by criss-crossed spines. very variable shape and structure. Calcareous rods support the arms. urchins soft sandy bottoms. Deeper water forms live on the bottom ooze. motion of spines, assisted by the teeth. These urchins cause damage to steel pilings. the force of the waves. coiled around the urchin’s spines. Ophiuroids have been found attached near the mouth. parasitise echinoids and may induce galls. sizes and of sucker-like tube-feet. through which sea water enters this hydraulic system which operates the tube feet. the perignathal ridge to which masticatory muscles attach. grinding motion to scour the surface the urchin is feeding on..
plates fused (usually) at the midline and these serve as anchors for attachment of muscles. 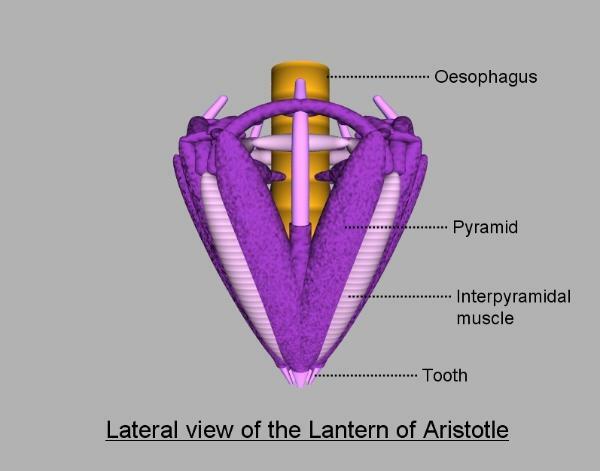 ventilating the gills and circulating oxygen in the coelomic fluid to the muscles of the lantern. Above: a model of a tridentate pedicellaria, closed (left) and open (right).